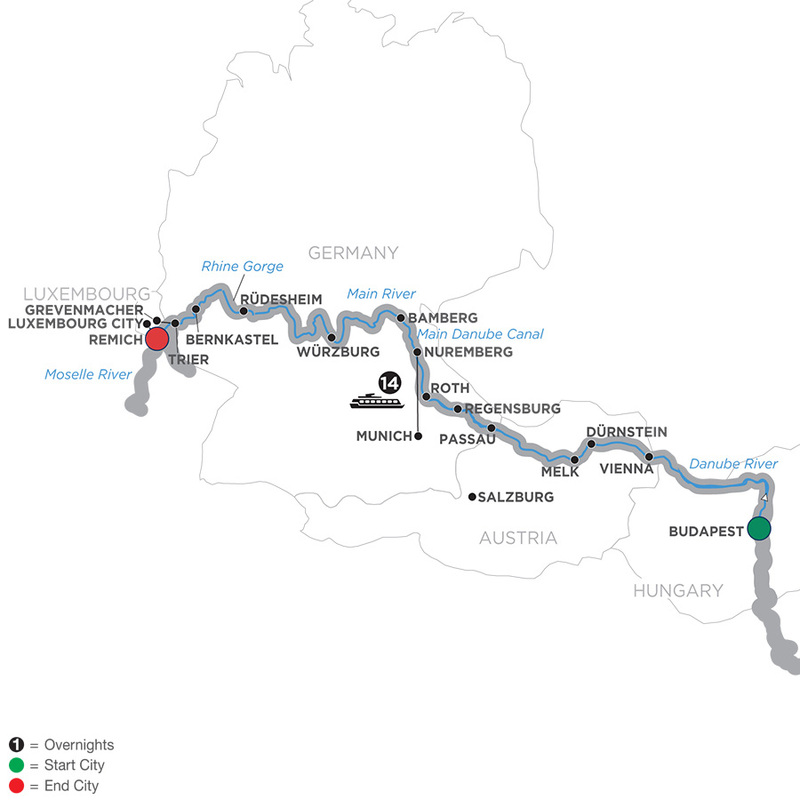 Sail along the Danube, Main, Rhine, and Moselle Rivers, and through the Main Danube Canal and dramatic Rhine Gorge on this remarkable river cruise vacation. From the Hungarian capital of Budapest, set sail and enjoy guided sightseeing that shows off the highlights in each city, including inside visits of Melk’s awe-inspiring Benedictine Abbey, the Bishop’s Residenz in Würzburg, and Siegfried’s Mechanical Musical Instrument Museum in charming Rüdesheim. In Regensburg we’ll introduce you to some of Germany’s famous beers, and in Bernkastel you’ll enjoy a tasting of Moselle wines. Disembark in Remich, Luxembourg, where your vacation ends.